"I have really enjoyed this course and am very glad that I chose Global English. I actually count! Thank you so much everybody." Please note this is an older version of our course. 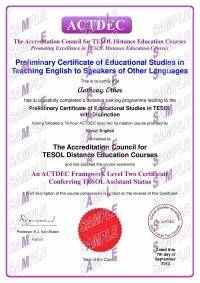 make the programmes we offer relevant to TESOL teachers today. 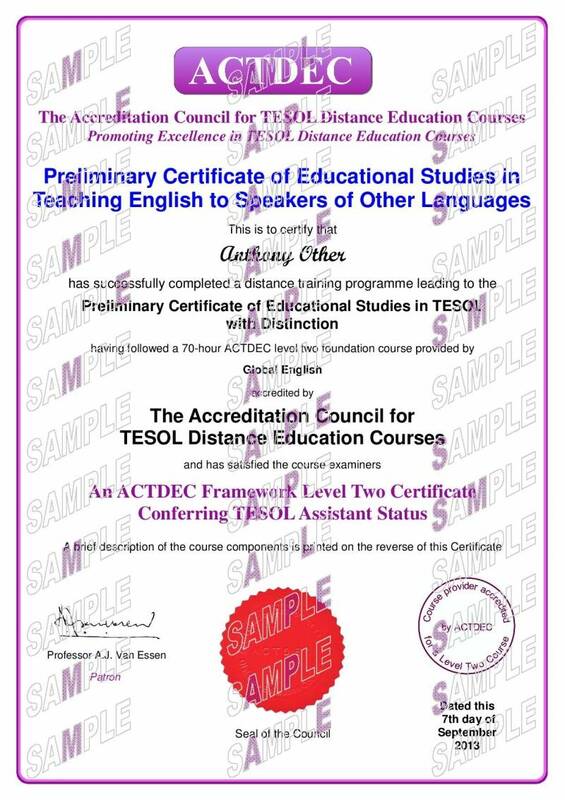 Please note this is an older version of our 70 hour Level 2 TESOL course. This programme can be booked by calling Global English on 01392 411999 Monday - Friday from 9am - 5.30 pm. This is a slightly older version of our course. You can purchase the updated version here. An external level 2 certificate awarded by ACTDEC is optional upon successful completion for £30 (PDF). ACTDEC accreditation means you and employers can be assured that this course has met strict, external quality criteria.